If you don't mind, I'm veering a little bit off my normal posts to talk about something that has been on my heart lately. As you have already read, I'm very active in my church and serve on the Guest Services Team (I just became a Coordinator - but more on that later!). During a recent leadership roundtable for the Guest Services Team at DC Metro Church, our Directors challenged us with Honor. What does Honor look like? How do we display Honor? And this is Honor in all forms and shapes: up, down, all around. Honor should be displayed for everyone, not just the people in power (though I don't want to discredit those in power - honoring their position is extremely important). This got me looking at my daily life. What is honor? To me, honor is showing respect and following the golden rule. Human beings deserve respect. Plain and simple. Yes, I myself am guilty of being in a stressed out, bad mood from time to time and letting that bad mood be pushed onto others. I even let my bad mood be pushed onto people I don't know because they are inconveniencing me at the time. But this leadership discussion really had me look at the way I interact with others. I became more conscious of my interactions with people and am trying to be intentional in displaying love and respect for all, not just the people I know really well and happen to like a lot. A simple display of love and respect can mean a lot to someone. We don't always know people's situations and what they are going through. Most often when someone does something that annoys us, we react badly. We assume they are doing that annoying thing on purpose. But that might not be the case; they could have just found out that they or someone in their family has a terminal illness, someone could have just been rude to them causing them to react badly, or simply, they aren't aware that what they are doing is annoying. We need to give people some grace. Showing honor in the form of respect and love can go a long way. This world seriously needs more love, there is enough hate out there. We shouldn't add to the hate by mirroring a person's bad actions; we should combat this infection called hate with love. In a country with an "it’s all about me" attitude, wouldn't it be nice to regularly see others helping each other out? Loving thy neighbor? 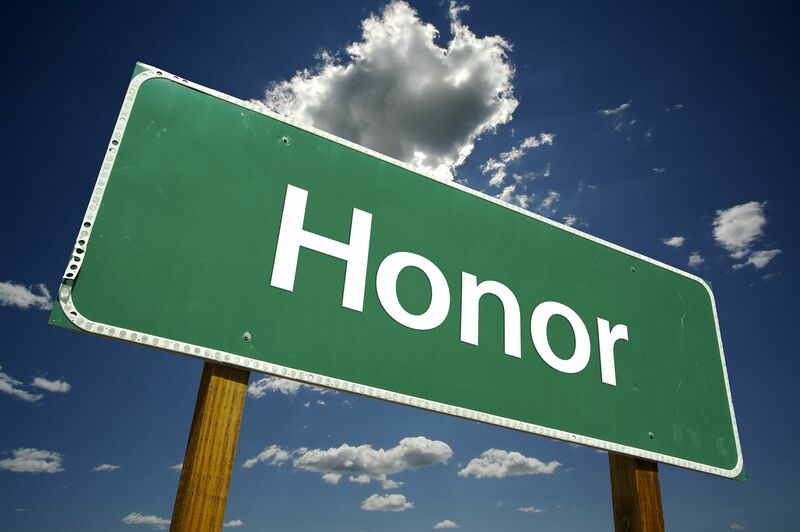 So my challenge to you, my beloved readers...how can you show honor in your daily life? How can you love someone despite their circumstance? Great Blog Post Lindsay! It is so you!